Why should enterprises consider investing in and deploying biometric authentication capabilities? 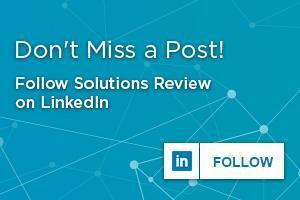 What IAM problems can biometric authentication capabilities solve? Moreover, can enterprises trust this new identity security technology in their cybersecurity policies? Of all the branches of identity and access management, biometric authentication is comparatively young. Enterprises and users alike continue to adjust to this new technology, slowly learning to trust it. Yet next-gen identity solution providers strive to refine and to innovate their biometric authentication capabilities; they aggressively assert their place as part of enterprises’ identity security platforms. In fact, biometric authentication capabilities can help solve several problems facing enterprises’ identity and access management policies and platforms. As the name suggests, biometric authentication solutions solve problems. Primarily, they solve issues inherent in traditional enterprises’ identity and access management policies, particularly authentication. However, they also guard against particular threats and provide the necessary convenience options. Passwords once ruled the roost in identity security. Early experts considered them a balanced tool for cybersecurity and convenience. Time, however, has proven otherwise. Hackers now have the tools and the experience to guess or crack most users’ passwords. In some cases, threat actors can simply input entries in the list of the worst passwords until they get a match. In other attacks, they can exploit previously breached passwords in credential stuffing attacks, spamming login portals until they succeed. Additionally, users often must memorize dozens if not hundreds of passwords—putting a great deal of stress on them. Often, they instead reuse the same password for multiple accounts, putting all of those accounts at risk. They may also write down their passwords or share them through unsecured channels, increasing the risk of insider threats. Above all, if your enterprise uses a single-factor authentication protocol, hackers can eventually brute-force their way through to your network. Even if you follow password security best practices, it remains a perilously thin security layer. Biometrics, on the other hand, offers a far more secure alternative to passwords. Hackers don’t yet have the technology to fake biometrics or to steal them. Additionally, hackers can’t use credential stuffing attacks with biometric readers; such would be impossible. Moreover, users can’t forget their biometric factors (they’re literally attached to them), which allows them to enjoy faster logins without fear of forgetting the authentication credentials. This saves both them and your Help Desk time otherwise spent on password recovery. Don’t get us wrong: endpoint security remains an absolutely essential component to supporting the digital perimeter. Their firewalls and next-gen anti-malware deter inexperienced hackers and block file-based and fileless attacks from penetrating the network. However, the evolving nature of cyber attacks makes securing identities more necessary than ever. For example, hackers employ phishing tactics to trick users into handing over their credentials; with these in hand, hackers can bypass your firewall and steal your sensitive data. Every identity serves as a node in your digital perimeter, and thus a new attack vector needing protection. Biometric authentication capabilities add a layer to your digital perimeter which traditional identity and access management can’t provide. They provide a verification tool which hackers can’t phish, and which helps ensure only the right users access the right databases. Of course, this works best when paired with privileged access management (PAM) and identity and access governance (IGA); the latter especially ensures users don’t have access to databases outside their job descriptions, limiting the damage threats actors can inflict with their credentials. We strongly believe multifactor authentication (MFA) should become enterprises’ go-to authentication policy. While not impervious to threat actors—no cybersecurity solution can prevent 100% of threats—it can deflect all but the most dedicated and experienced hackers and insider threats. Additionally, MFA can enable step-up authentication, which only requires more authentication factors as the sensitivity of access requests increases. However, enterprises must also balance security with convenience to enjoy widespread adoption by their users. To achieve this, they instead deploy two-factor authentication via their IAM solution. Two-factor authentication does exactly what its name suggests; instead of a single-factor authentication policy, it adds a second layer to the process—taking some of the burdens off passwords. These second factors can vary, but often they involve an SMS messaging system via mobile device or email account seeking to confirm the access request. Unfortunately, hackers can now subvert these SMS messaging systems by sending a false message which enables them to bypass the identity security process. Contrastly, biometric authentication capabilities provide much more secure and consistent secondary authentication factors which hackers can’t trick or bypass. By removing the need for an SMS message, hackers can only penetrate your network through direct interference with your physical endpoints—a tall order for any threat actor. Retail and consumer-facing enterprises alike face a completely different set of identity security challenges. Not only must they secure their employees and third-parties, but they must also secure their consumers’ credentials. On the other hand, they can’t secure their consumers too much without causing serious frustration and poor user experiences. In turn, this can lead to cart abandonment and less digital foot traffic. The user experience, and thus your customer identity and access management (CIAM), must also involve convenience. Biometric authentication capabilities offer that necessary balance for consumers. Consumers can simply use their built-in biometric readers (a now common feature on endpoints) to log in and begin shopping right away. It is far faster than inputting a password (especially on mobile devices) and just as secure as a password if not more so. Of course, there is no homogeneous list of biometric authentication capabilities; each solution provider offers distinct tools and features which suit different enterprises’ identity and access management use cases. 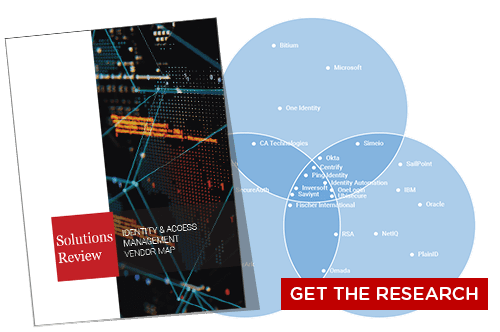 Additionally, there isn’t a set list of problems for traditional IAM solutions—each enterprise faces different challenges securing and verifying their users. 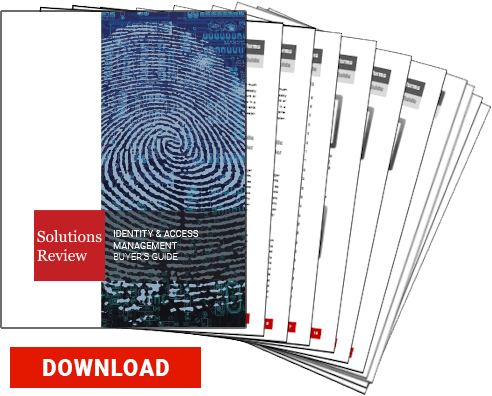 Your enterprise needs to consider how you handle identity and access management problems…and whether it is time to deploy biometric authentication capabilities.